Nadine has always been the easygoing jokester of the bunch. She never fails to see the bright side of things and isn't afraid of letting everybody else hear them out loud... For the longest time, her quick wit and academic success have made a person after person go "oh SHE'S SOOOOOO.....", but what can you do when you are just this superior on the level of personality awesomeness as her! She enjoys learning about anything. The Discovery channel is always on, and quite often she is late from EVERYWHERE after losing herself into watching a documentary on the making of shoe soles... and that's when the quick wit comes in very handy, getting out of dire situations is her another specialty! So get on board with true awesomeness topped off with unbearable cuteness, as Nadine has arrived! 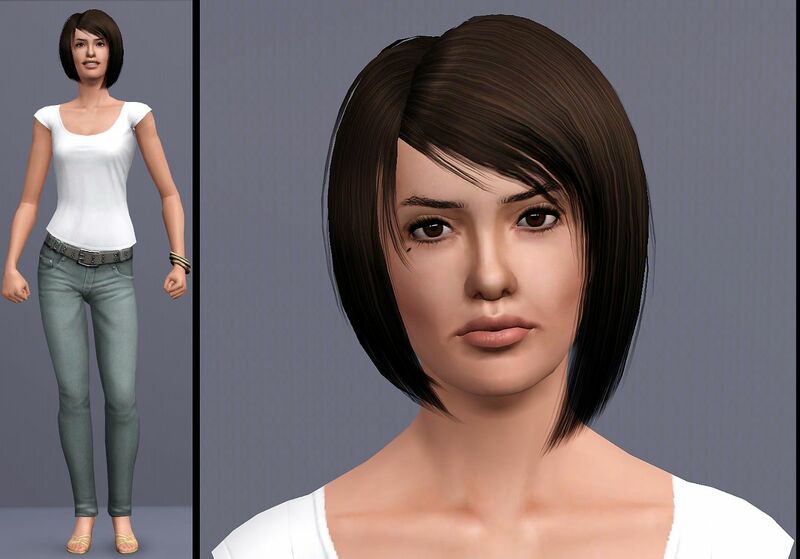 The sim is packaged with default basegame hair, clothes and skin. Eye brows (#7) by Evie. 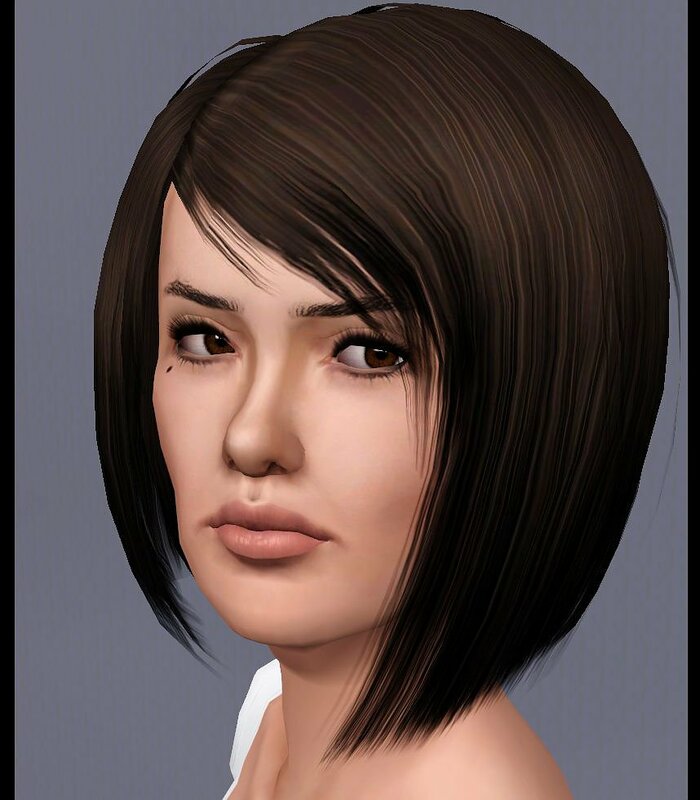 Her blog and content was deleted, so the brows are included for download in this thread. Non-default Peggy (face+body!) skintone available here, and as default here. Chin to neck slider by Heiret, which is no longer available but you can download it from this thread. 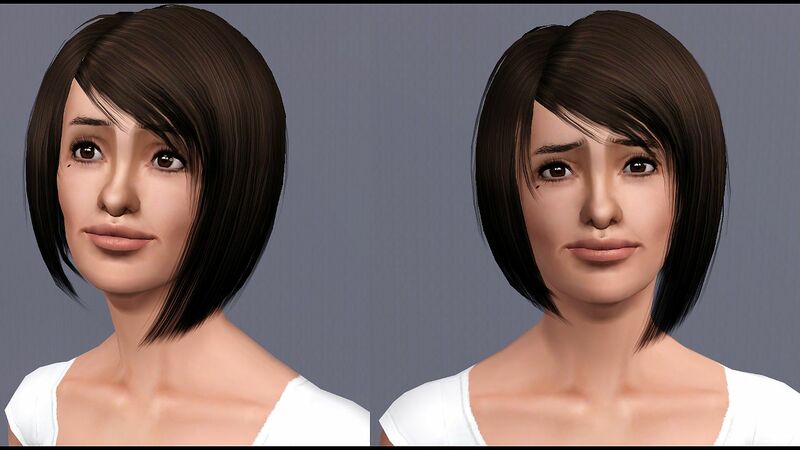 I have a 3x slider hack installed, so if you don't have a slider hack installed she won't appear as in the pictures!